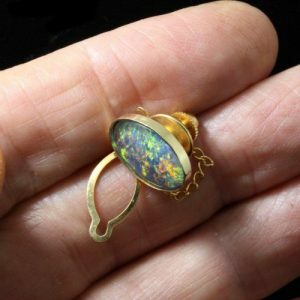 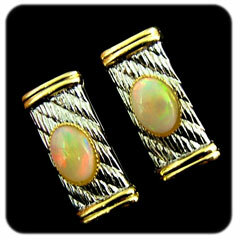 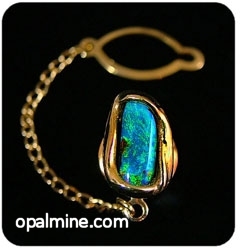 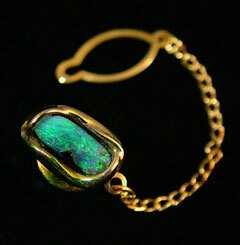 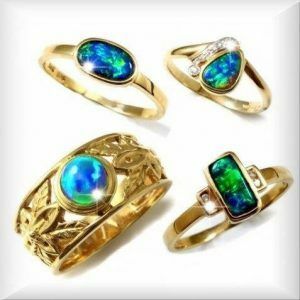 Type of Opal: Solid Crystal Opal . 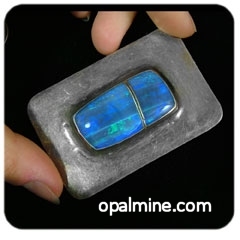 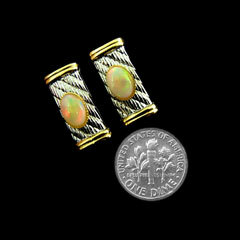 Comments: Dynamic blue, green and hints of other colors are the feature of this striped pattern opal. 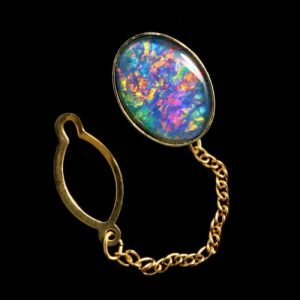 As the stone shifts with the movements of your belt, you will notice a change of color which attracts the eye and establishes you as a person of perceptive dress.